((S))) is a mysterious one-man-project from Copenhagen. There are no pictures of either himself or his studio band. Their music nevertheless creates whole worlds. 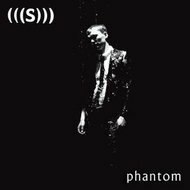 The sinister serenades of the debut “Ghost” switches on your head and set your imagination running wild with its gentle sounds and dreamy sad dancefloor fillers. Set somewhere in the dynamic field between The Jesus & Mary Chain, The Cure and Tiamat the scandinavian singer’s songs touch and move you. “Mezmerized” and “Fall with me” are catchy wave-jewels, “Naked” and “Dying” full of dark atmoshere. The faboulous Beatles-Cover “Help” gives the impression the original was by Pink Floyd. Floating above it all is the ghostly voice of (((S))), like Johan Edlund from a far and more “comfortably numb” then David Gilmour. Denmark’s new act will find a lot of friends in the scene. “Ghost” is the ideal soundtrack to an evening with wine and candlelight but also an earthquake on the dancefloor.